I enjoy seeing the birds and animals of Australia on my travels around our wonderful country. Wherever possible I take photos of them to share here on this site and on Trevor’s Birding, my site about birds. But I also love visiting the various zoos around Australia. Whenever I get the chance to do this I take photos of the birds and animals encountered and again share them here or on my other site about birds. Today I feature some of the animals of Monarto Zoo which happens to be a ten minute drive from my home in Murray Bridge. 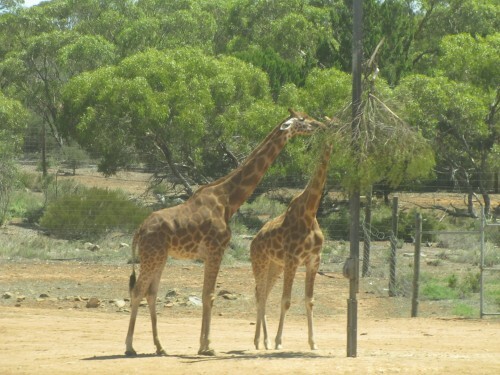 Monarto Zoo is a part of the Adelaide Zoo, one of our oldest zoos and well known for its conservation efforts in breeding endangered species. The Monarto section opened to the public in 1993 and has developed an international reputation for its conservation efforts. 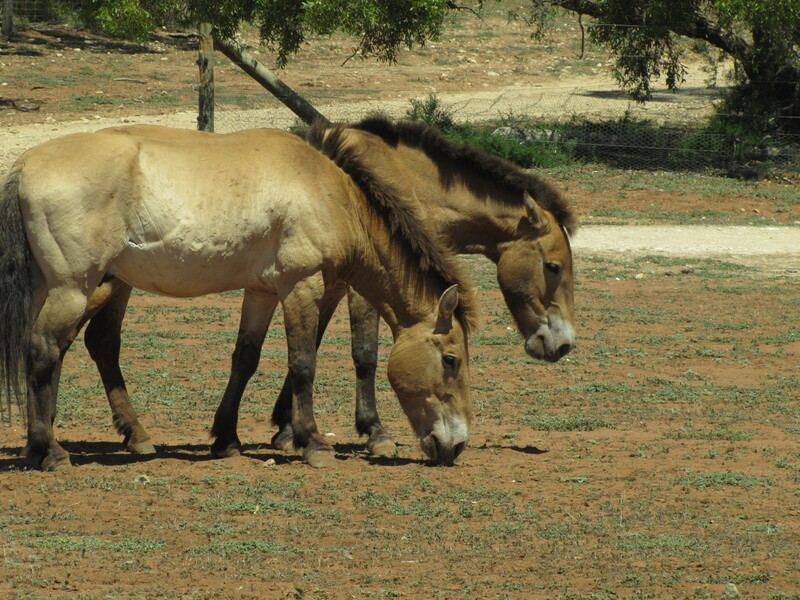 The keepers have been most successful in breeding a herd of Przewalski’s Horses, for example, once listed as extinct in the wild and now reintroduced to their natural habitat and thriving. 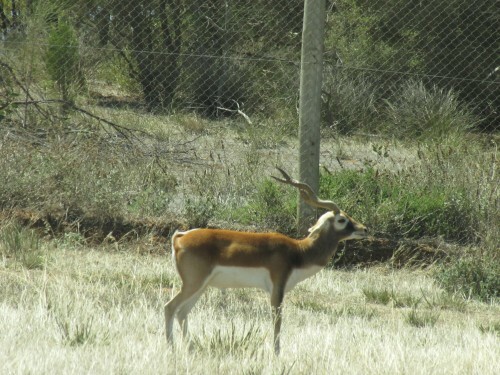 I have included a series of photos of some of the animals seen on this latest visit to the zoo, including deer, rhinos, ostrich, black buck and others. 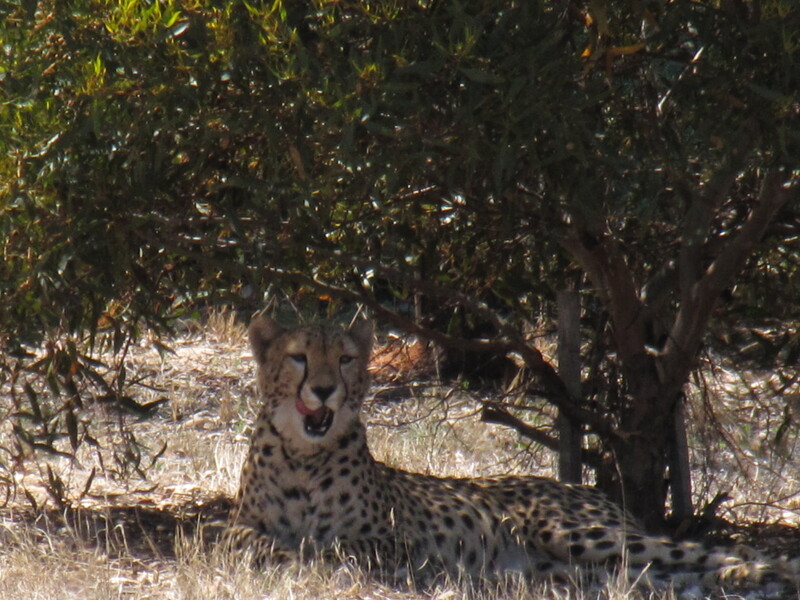 The cheetah is one of the most admired animals on display at the Monarto Zoo in South Australia. 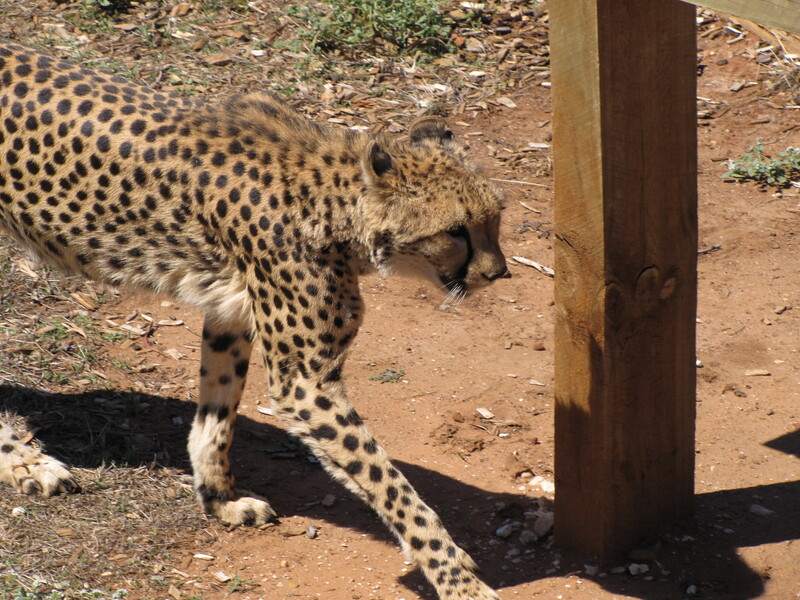 Currently there are eight cheetahs in the collection at Monarto. 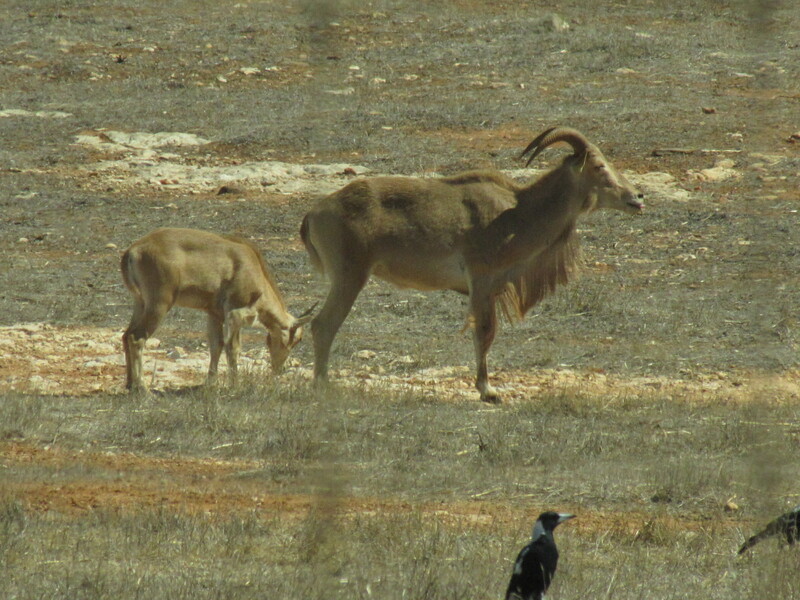 Over recent years they have been very successful in their breeding programme. I applaud this , and is one of the reasons I am a life member of this and Adelaide Zoo (membership covers both zoos). 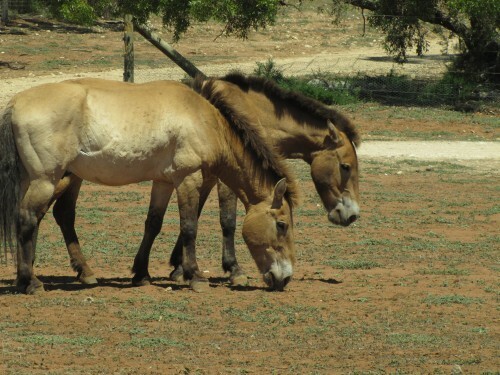 For example, Monarto Zoo has been instrumental in the reintroduction of the Przewalski’s Horse to its natural habitat in Mongolia where it was once listed as extinct. 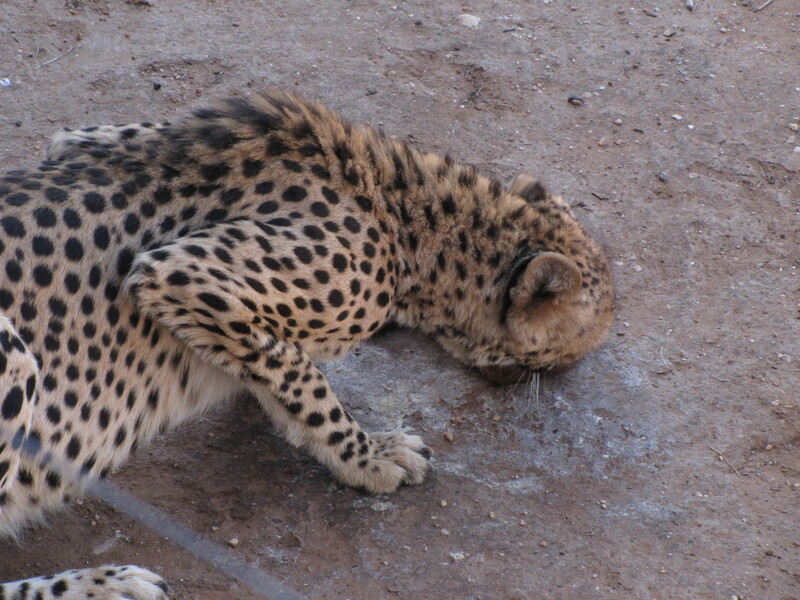 In its natural habitat the cheetah of Africa is highly endangered, though there are still about 7,000 in the wild. 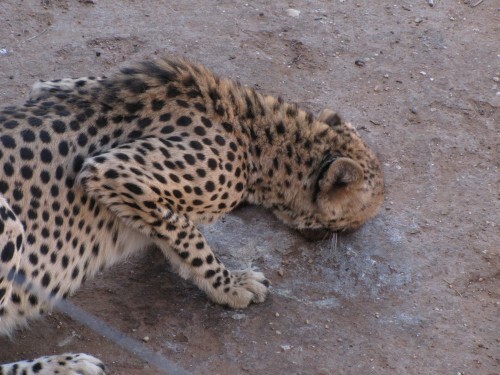 Their numbers are declining rapidly due to a combination of hunting, environmental destruction and disease. 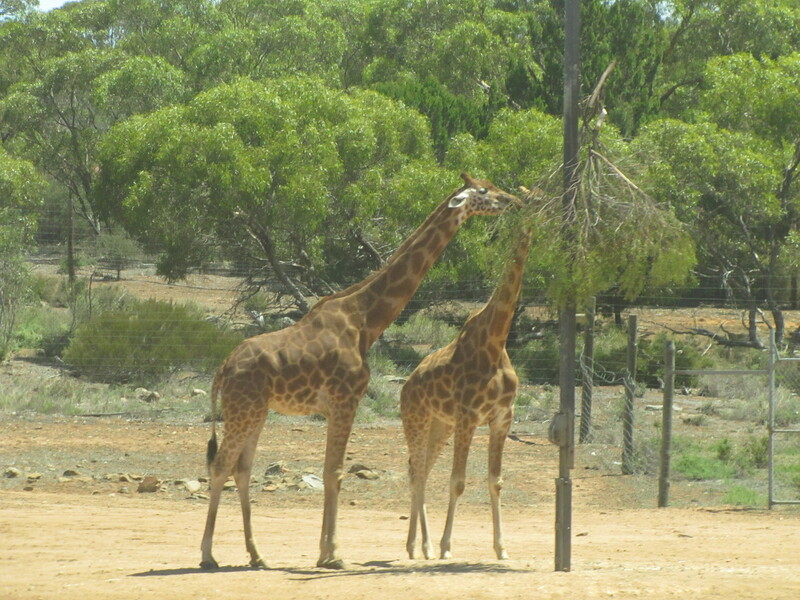 I hope that it will never get to the point that the only place to see this amazing animal is in places like Monarto Zoo. Successful breeding programmes go a long way ensuring that this will not happen, but if the worst does happen, there is a viable gene pool in zoos around the world. I have not experienced the thrill of seeing any of the cheetahs at Monarto at full speed, but one of the tour bus guides once informed us that they are very quick, able to catch the cunning local ravens before they could fly away. This was even in their relatively limited quarters. Their largest enclosure is some 200 metres long, and this seems to be enough to stalk and catch the birds. Any rabbits which have foolishly made it into the enclosure never last more than a few seconds either. 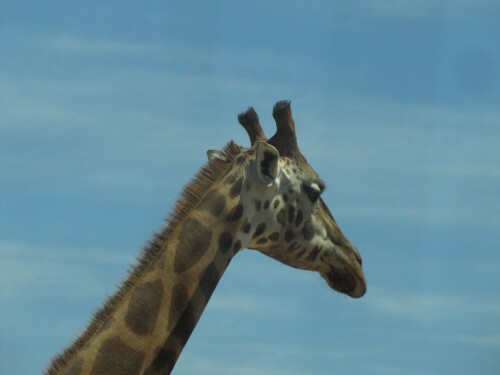 Giraffes always fascinate me. Partly because of their enormous height and partly because of the way they move. As for their height, males can grow to over 5 metres and the view from up there must be quite amazing. 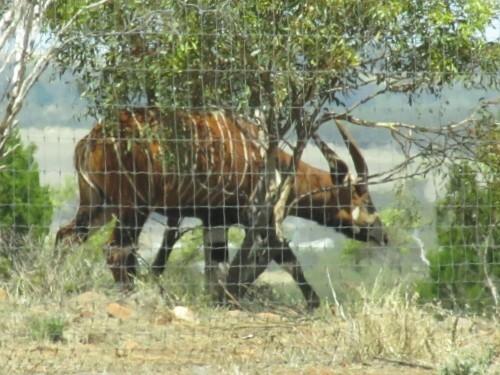 Of course it is very handy for grazing on the foliage of trees. 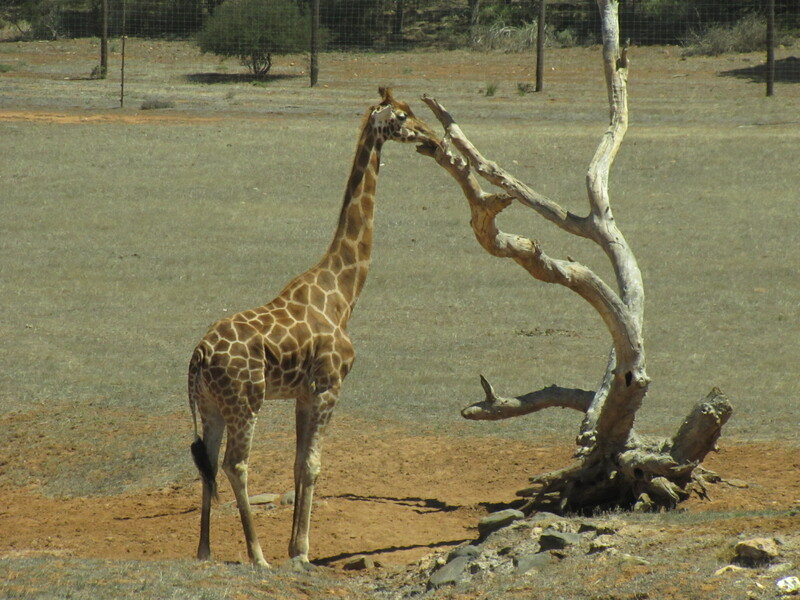 At Monarto Zoo in South Australia where I took this series of photos earlier this year, any existing trees in their enclosure have been well and truly trimmed. 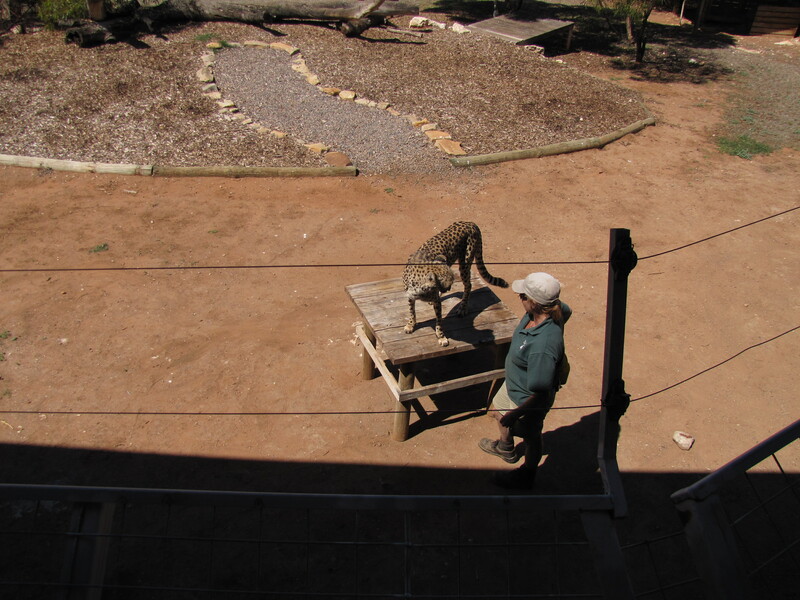 The keepers try to simulate their natural environment by tying branches at the top of a tall pole (see below). Much easier for the giraffes than stretching down to the ground to eat the grass. With such a long neck, reaching the ground would be a decidedly difficult thing to do. 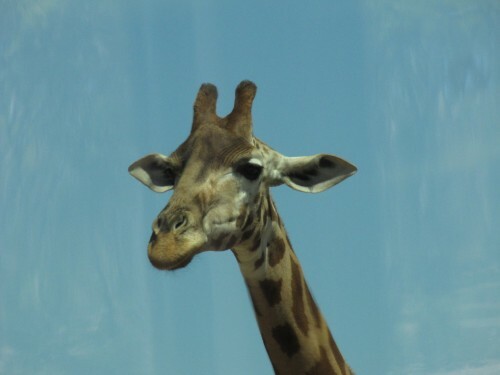 While visitors to the zoo do not often see the giraffes at full gallop, they can be remarkably agile over short distances considering their great size. 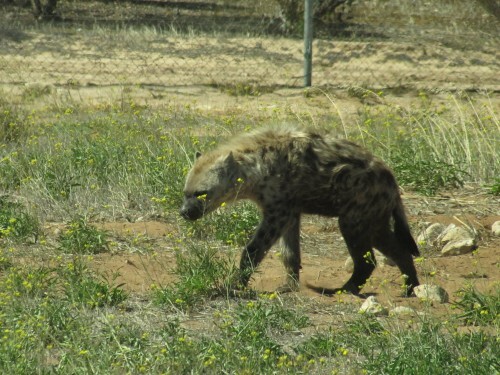 Usually I have just observed them gracefully walking, again remarkable considering their size and weight; they weigh over a tonne (1,100 kg). The giraffe breeding programme at Monarto has been very successful over the years and the zoo now boasts the largest herd in Australasia. Monarto Zoo is one of the largest open range zoos in the world and is a ten minute drive from my home in Murray Bridge. The area was designated many decades ago as a satellite city to our state capital, Adelaide, but plans fell through before any building could commence. 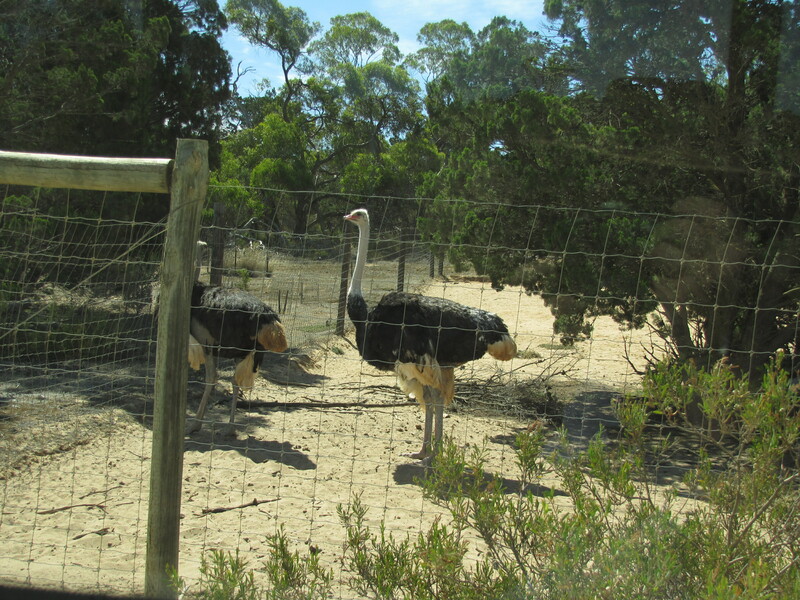 The zoo is a part of the world renowned Adelaide Zoo. 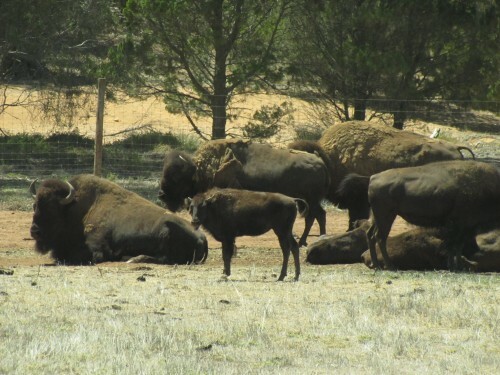 The American Bison were very first animals to arrive at the Monarto Zoo near Adelaide in South Australia when it was set up as an open range zoo in 1983, though I should add that the zoo only opened to the public in October 1993. Before that is was only used as a breeding and pasture area for some animals from the Adelaide Zoo. Since opening to the public it has boomed as far as visitor numbers are concerned, with many hundreds of thousands annually (I can’t find any current figures on their website). 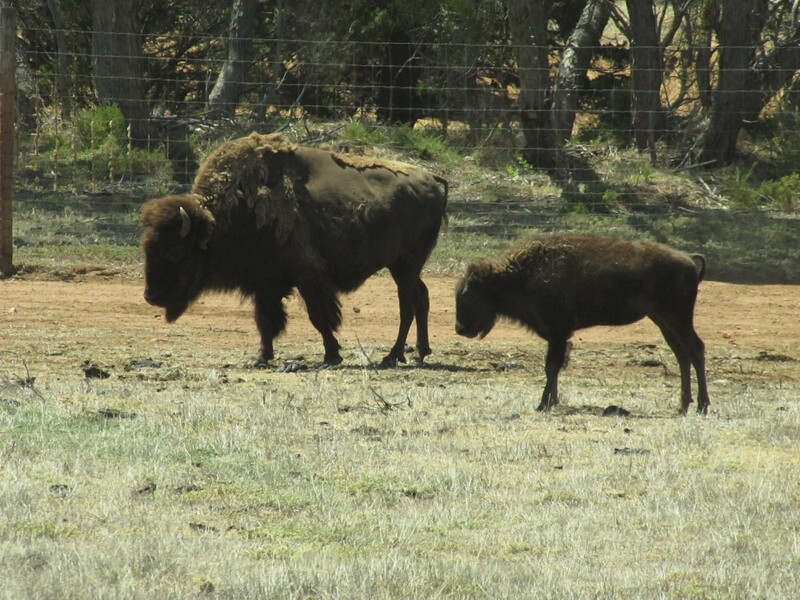 The herd of American Bison has grown from only 2 in 1983 to over a dozen today. They share a paddock of some 15 hectares in size and the bus tours all travel through the enclosure. On some occasions I have been on the bus when the herd has occupied part of the road leading through their home. Stubbornly they usually refuse to move; the driver has no option but to take a slight detour. On these occasions visitors get very close up views indeed. On our most recent visit they were well off the track, thankfully. 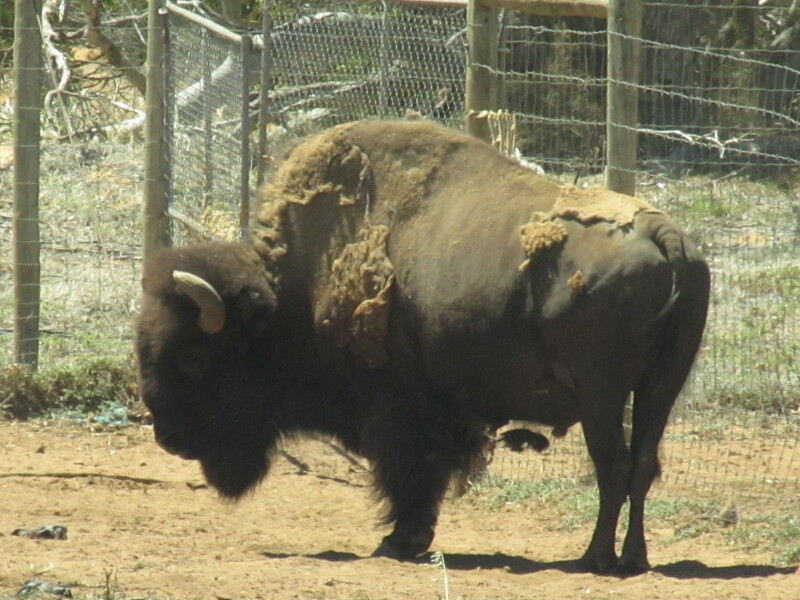 Although their numbers in America were originally in the millions they quickly declined due to hunting and disease. Thankfully the species was rescued before they became extinct in the wild and their numbers are now stable, though only about 15,000 exist in the wild population. You can read more about the species here. Most people have probably never heard of the Przewalski’s Horse – unless they have taken a tour at the Monarto open range zoo near Adelaide. A few days ago I shared a few photos of the endearing meerkats at this zoo and today it is the turn of the horses. 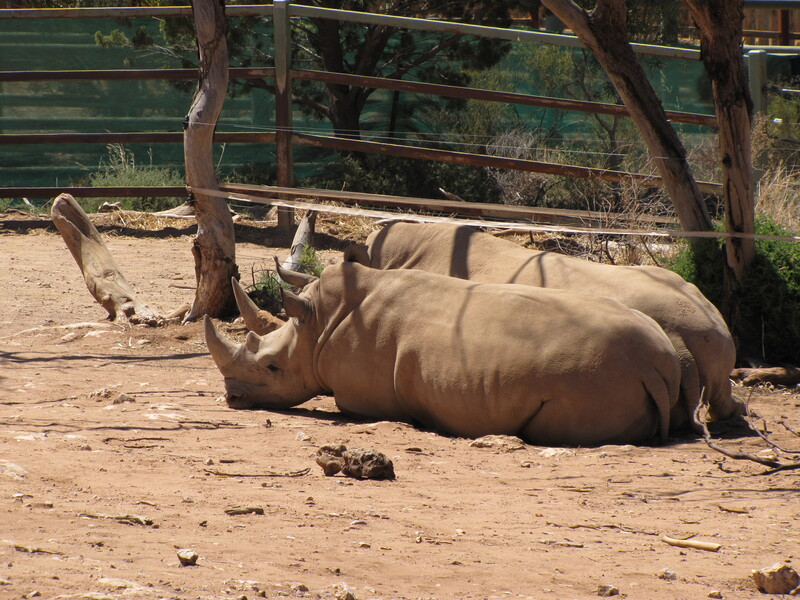 Monarto Zoo is a part of the Adelaide Zoo and is my home zoo, being only a ten minute drive from my home in Murray Bridge. I am a life member so I can go visit for free any time, so we try to get there several times a year. This most recent visit was with friends on the occasion of my wife’s birthday. 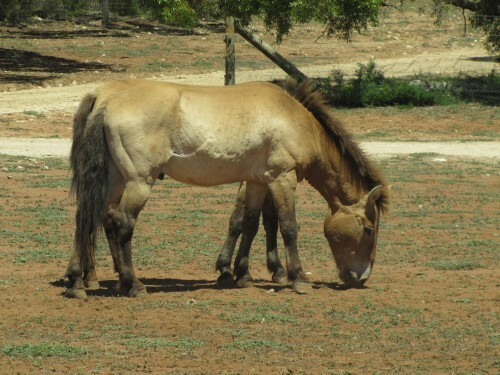 The Przewalski’s Horse is critically endangered in the wild. At one point it was classified as extinct in the wild, but successful breeding programmes, especially here at Monarto, have seen the re-introduction of the species in its natural habitat. It was this successful programme which convinced me to become a life member of the zoo, even though I am not a particularly great horse lover. It is the world’s only remaining wild horse and is native to Mongolia, Kazakhstan and the Gobi Desert. They’re smaller than domestic horses, with stocky bodies, large heads and a thick upright mane. Monarto Zoo now has about 20 of these horses, having exported a small group to Mongolia twenty years ago. 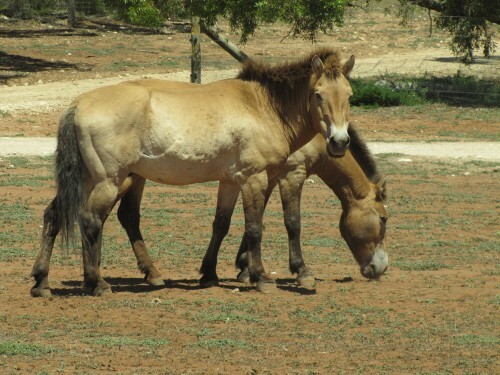 In 1995, Monarto Zoo participated in a program which saw seven horses successfully reintroduced to Takhi Tal Nature Reserve in Mongolia, leading to the species forming functional breeding herds in its native habitat. 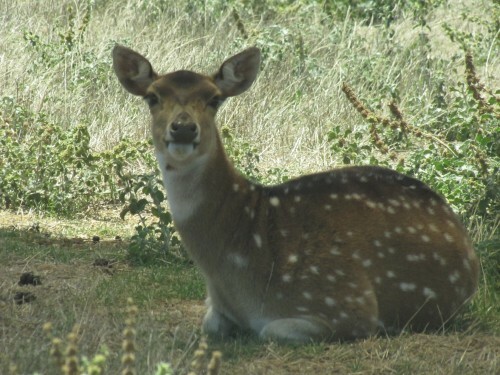 As a result, in 2008 their status was downgraded from extinct to critically endangered. You can read more about this beautiful animal on the zoo website here.